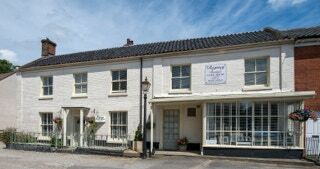 Regency Guest House, Delightfull accommodation in Neatishead, a quiet , peaceful, unspoilt broadland village. The guest house is an 18th century house conveniently located for the Broads , boating , nature reserves and many other places of interest. We are still Privileged to have a village pub, a short walk away where lunch and evening meals are served, a local shop and free public mooring 5 mins walk from the Guest House.